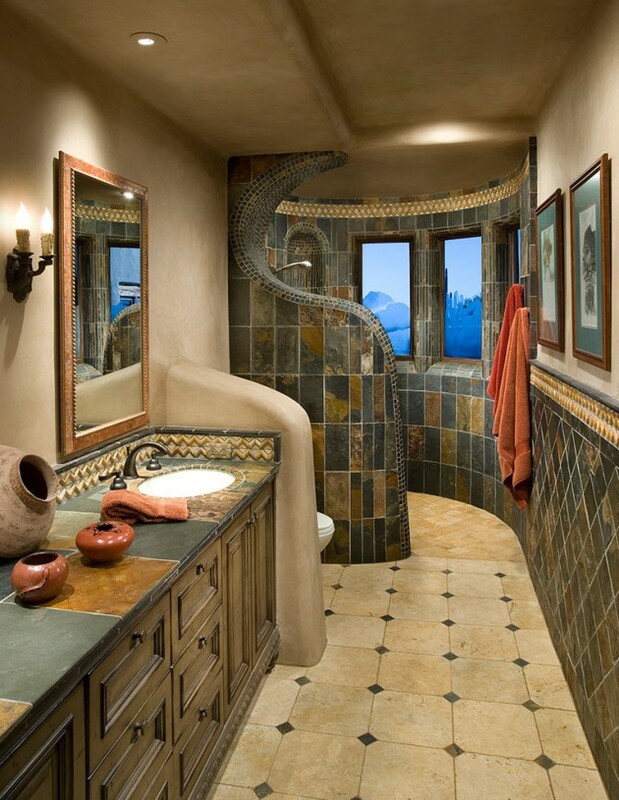 Southwestern Bathroom Design and decor reflects a relaxed, elegant style tied to the centuries-old mix of cultures and natural phenomena that make the American southwest unique. 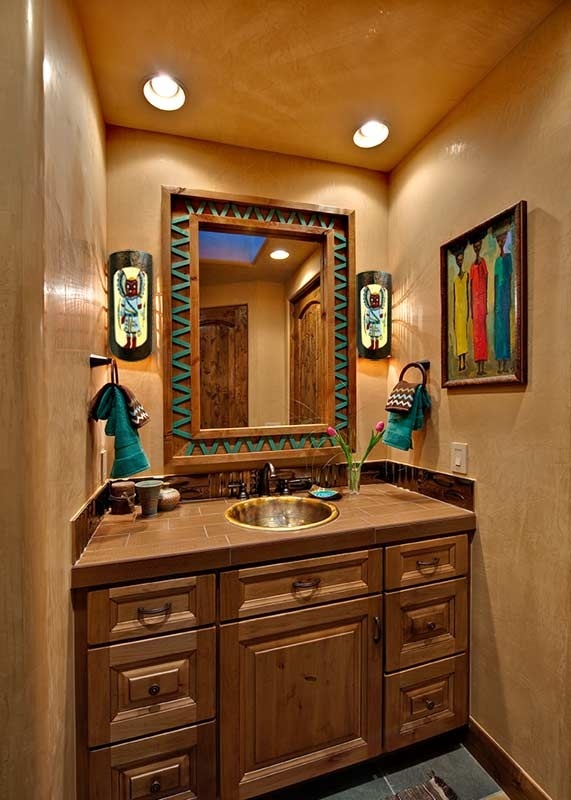 Southwestern style is greatly influenced by the Mexican themes as well as the Spanish colonial roots of the southwestern region. 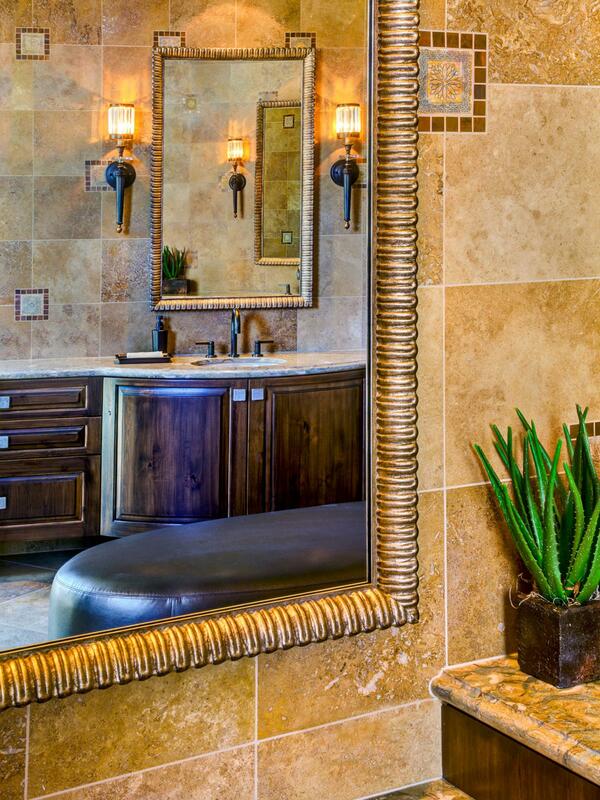 If you’re planning a new bathroom or an update to an existing one, Southwestern design and decor could be a great choice for creating a space that’s bright and lively yet relaxed and welcoming.